Tim Sweeney says that the company will continue signing exclusivity deals with upcoming games. In a series of tweets posted earlier this week, the Epic Games CEO said that the company is still open to exclusive titles, despite disappointment from players. On April 1, Sweeney was asked to clarify the company’s position after it was revealed that Observation, the next game from the developers of Stories Untold, would be an Epic store exclusive, despite previous plans to release on Steam. 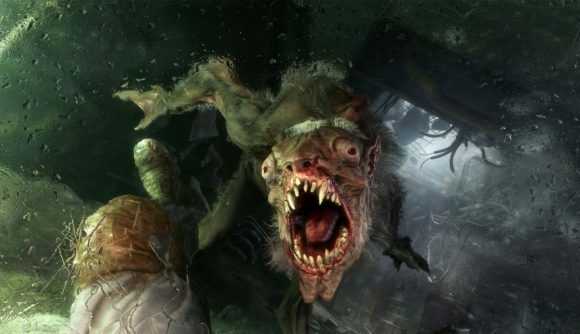 That release seemed to directly contradict comments from Steve Allison, head of the Epic Games store, who said that the company didn’t want to repeat the mistakes made with Metro Exodus’ exclusive release. On Twitter, Sweeney said that there had been plenty of discussions regarding those comments since GDC, but that “Epic is open to continuing to sign funding/exclusivity deals with willing developer and publishers regardless of their previous plans or announcements around Steam.” At first glance, that seems to go directly against Allison’s comments at GDC. We've had a lot of discussions about this since GDC. Epic is open to continuing to sign funding / exclusivity deals with willing developers and publishers regardless of their previous plans or announcements around Steam. It’s worth noting that Allison’s comments were not intended to suggest that Epic wouldn’t be aiming for exclusives in future, but that the timeframe around them would be a bit more forgiving. Metro Exodus was just weeks away from a Steam release when Deep Silver announced the move to the Epic store, and Allison says that he’s looking to ensure that those decisions are made soon in future. Allison also said that Epic won’t be doing exclusives “on the scale we’re doing them now” in the future, but more are definitely planned. Ubisoft’s Anno 1800 will be heading to the store later this month, while Gearbox revealed that Borderlands 3 will be an Epic exclusive for six months – something Randy Pitchford wants you to know wasn’t his decision. The number of titles poached from Steam is likely to drop, but Sweeney’s comments make it clear that that option is still very much on the table.